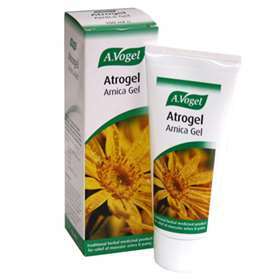 A. Vogel Atrogel is made from the fresh flowers of arnica montana is ideal for the relief of arthritic pain, stiffness, repetitive strain injury, sports injuries and swelling. It is also excellent for stimulating circulation. A. Vogel Atrogel 100ml is not recommended for children under 12 years of age. For external use only. Do not apply to inflamed or broken skin.